The trend for young sweethearts to express their undying love by attaching a padlock to a bridge or other public structure has exploded across the world in the last decade and now it’s come to Beeston. Dog walkers, runners and other users of Cross Flatts Park may have noticed a metallic addition to the arboreal splendour of the park. 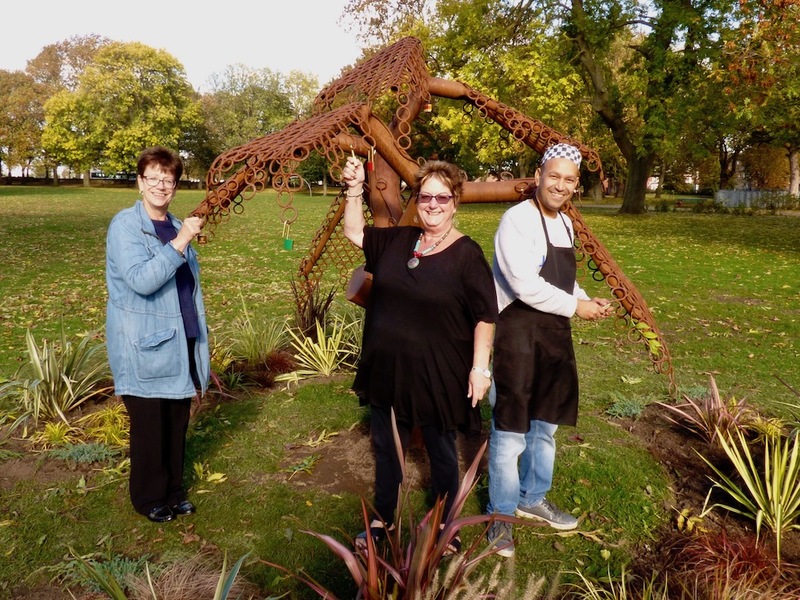 With a flourish of tasteful planting, Beeston In Bloom have now unveiled Leeds’ first Love Lock Tree just behind the Watsonian Pavilion in the park. Anyone can demonstrate their love by adding a personalised padlock to the tree. Padlocks can be purchased from the Bridge Café, which operates in the Watsonian Pavilion every day except Saturday. Padlocks come in a range of colours and the price includes a short inscription being engraved onto the lock. The locks cost £20 with the profits being split between the Council and Beeston In Bloom. Cllr Gabriel found the tree during a “scavenger hunt” at the old parks depot at Redhall. It’s believed the tree was commissioned for Golden Acre Park, but never installed. As well as the tree, the trip yielded benches and planters which have been put to good use around Beeston. Once the tree was safely installed, with a cubic metre of concrete to secure it, Beeston In Bloom secured a £500 grant from Parks to buy the plants for the border.